If you are a savoury or herbal person then this is great for you. Men like this one too. 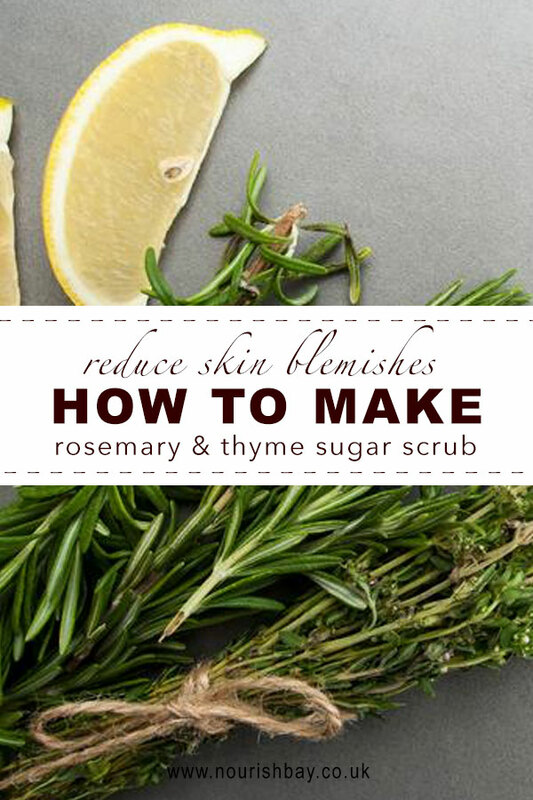 Thyme has a lot of antiseptic qualities and rosemary can reduce blemishes and boost healthy skin glow. If your skin needs a healing tender loving care this is the scrub for you. Here is a recipe for a fresh scrub. Remember to keep refrigerated if you are storing it. a hand full of fresh rosemary and fresh thyme roughly blended into a paste.